I have been thinking a lot lately on all the things I take for granted. So I decided to pay attention to those things which have become part of my daily reality. I grew aware and expressed gratitude. 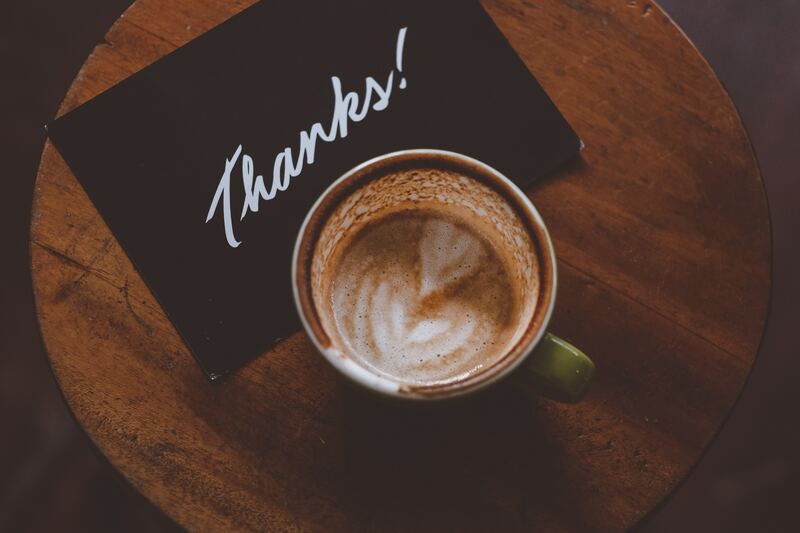 This Forbes article talks about why adopting a mindset of gratitude will change your life for the better. I am starting to see the benefits of my own gratitude mindset as I am much less reactive, anxious, frustrated and fearful. Instead, I embrace everything on my path. When something good happens, I enjoy and remind myself I am blessed. When something terrible happens, I allow myself to feel whatever arises. Then I become aware and remember my gratitude journal and all the things I am grateful for. At the end of my list, I always feel grounded and rich. Rich in life for all that I have. I hope that my 50 things will inspire you to make your own list and keep it close as a daily reminder for your blessings. These are in random order and written as they come to mind. 1. I am breathing without a machine. 2. I can take a shower every day with clean and hot water. 3. I can walk around with both of my legs. 4. I can see with my eyes, and I am blessed with my sharp sight. 5. I can comb my hair without losing tons of it due to illness. 6. I can choose to eat healthy food and drink filtered water. 7. I can use both of my hands as a tool to be independent in life. 8. I have a warm bed I can go to every night. 9. I have electricity and light. 10. I have a fridge that keeps my food fresh. 11. I have a view over the entire city I can watch whenever I want. 12. I have an ex-husband who takes full responsibility for his child. 13. I have a healthy son who I can feed, nurture and take care for. 14. I have a son who can go to school without fear of conflict. 15. I have a mother who despite her illness is still alive. 16. I have a sister who despite her heavy burden is always there for me. 17. I have a father whose bond was so strong, I still feel his presence. 18. I have a car that drives me wherever I need to go. 19. I have a job where some of my colleagues are my inspiration. 20. I have a job where I work with people, all kinds of people. 21. I have a job. 22. I have a brain which is expanding every day. 23. I have a gift of empathy and use my creativity to help others connect with their emotions. 24. I am highly intuitive and feel safe in navigating life. 25. I am vulnerable, and it hurts. As long as it hurts I am alive from the core. 26. I have been hurt endless times, and therefore I am grateful for my ability to feel everything to the fullest. 27. I love from the heart; pure and genuine. 28. I am compassionate and wish everyone well. 29. I can speak my mind without being thrown in prison. 30. I have an infinite inspiration. I close my eyes and my soul speaks through my writing. 31. I have a passion which is visible through my writing and videos. 32. I have a vision and I believe without fear. 33. I am emotionally mature and process my emotions instead of cropping them inside. 34. I am kind to all until proven otherwise. 35. I have travelled the world and seen magnificent places. 36. I am finally free of people’s opinions. 37. I go to bed with my integrity intact. 38. I am kind for me not for the other. 39. I have learned so many lessons in life. 40. I have met amazing people who came into my life for a season, a reason or a lifetime. 41. I can let go of what no longer serves me. 42. I can meditate every morning and every evening. I sleep so much better. 43. I forgive much easier as I understand the freedom that comes along with it. 44. I inspire others and make a difference in their lives by being vulnerable and authentic. 45. I am single and sometimes lonely. I am human and that’s ok.
46. I am single and I embrace the relationship with the self. 47. I am single and I enjoy the peace of mind. As if we cannot be with ourselves, how can we be with anyone else? 48. I have achieved things I thought were impossible. 49. I no longer have an identity. I am a breathing human being who is making a difference by living her full potential. Thank you for taking the time and reading my stories, stories written to inspire you. Your time means the world to me! Follow me on www.inspireshareact.com for your daily dose of authenticity in the digital age.